Mandy Ross has been appointed chief information officer of Tabcorp, effective 22 December. The wagering company today revealed its new executive leadership lineup following its merger with Tatts Group. 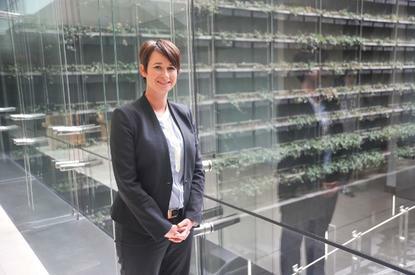 Tabcorp confirmed that CIO Kim Wenn will depart after more than eight years in the top IT role and over a decade at the company. Wenn placed number 2 in this year's CIO50 list. “Tabcorp’s new executive leadership team brings together executives from both Tabcorp and Tatts,” Tabcorp managing director and CEO, David Attenborough, said in a statement. In addition to Ross, Sue van der Merwe — the former Tatts Group chief operating officer, lotteries — and Frank Makryllos — former Tatts Group chief operating officer, gaming solutions — have joined the Tabcorp executive leadership team. “The combination has created a world-class, diversified gambling entertainment group,” Attenborough said. “I’d like to take this opportunity to express our deep appreciation to the executives who are departing the organisation due to the combination becoming effective,” the CEO said.